Is There a Silver Bullet for Literacy? 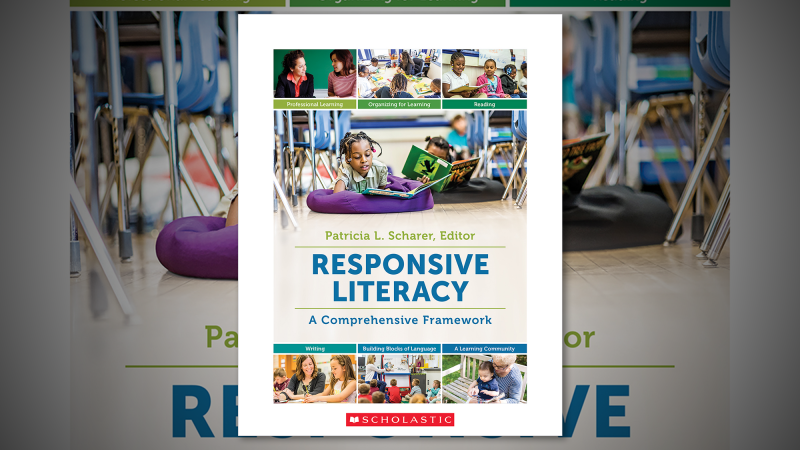 Patricia Scharer is the editor of Responsive Literacy: A Comprehensive Framework. Some educators boil reading down to “the simple view” of D x C = R, with D for decoding and C for comprehension. Certainly, word recognition and decoding are essential, but it’s not as simple as this equation. In fact, decoding itself is not at all simple. It involves phonological awareness, an understanding of letter-sound relationships, and learning how to use knowledge of letters and sounds to figure out unknown words. However, for example, the rule we all learned as children “when 2 vowels go walking, the 1st one does the talking” only works 45% of the time! I’m wary of this notion of a “simple” view, which could be expected to work like a “silver bullet”—the answer to teaching all children to read. We hear about this all the time: it could be a new technology, teacher’s manual, or set of materials. Buy this and your students will succeed! The problem is that we have never, ever found this silver bullet in technology, a teacher’s manual or a set of materials. Wouldn’t it be nice if learning to read English could be made simple using a silver bullet? Unfortunately, it’s never that easy. What a child needs to learn to read varies from student to student. Some children come to school as fluent readers; for other children, regular classroom instruction enables them to learn to read and write successfully. But for about 20% of students, regular classroom instruction won’t meet their individual needs. We need to provide all students with a highly qualified teacher who can support each child in the areas in which he or she needs it, and build on their strengths as they learn to read and write. Assessment—we need to carefully select the most powerful and appropriate assessment measures to learn as much as possible about each student. Naming letters in 60 seconds may be quick, but we are left with many questions about the child: how many of the upper and lower case letters can the student identify? Are there confusions like reversals? The assessment must be rich enough for the teacher to plan instruction. I won’t know enough about a child in 60 seconds to help her learn the alphabet. So, the first part of my plan is quality assessment that the teacher can use immediately to plan instruction. Quality teachers—The Reading Recovery i3 study identified four attitudes and dispositions which are key to excellence: openness to change, strong interpersonal skills, strong work ethic, and a belief that all children can learn. I think we can all agree on these four qualities, but my focus is on the belief that all children can learn. I worry that sometimes, in the face of budget cuts and fiscal uncertainty, that we move resources to the middle of the class and the children who need it most are provided with resources that aren’t sufficient to meet their needs. Providing a volunteer to a struggling reader is like handing the heart attack patient to the candy striper. For more than 30 years, Reading Recovery has shown that more than 70% of the very lowest-achieving first graders can not only learn to read and write, but can accelerate their rate of learning, rising to the class average, in 12–20 weeks. A core belief held by Reading Recovery professionals is that all children can learn. In fact, Marie Clay believed that if a child isn’t learning, it’s because we haven’t yet figured out how to teach him! Children need the special skills of a highly trained teacher. Ongoing professional development—I don’t know of anyone who believes that initial university training is enough to become an expert teacher. It’s a start, but there’s so much to learn! The comment I hear regularly from newly-trained Reading Recovery teachers is that they really didn’t know how to teach a child to read until after their year of initial intensive training. Two professional development days a year on assorted topics are not enough. I believe that there are three components to quality professional development: a shared understanding by the staff that we are all life-long learners; a commitment to regularly-scheduled study sessions; and the support of a highly qualified coach who works intensely with teachers in classrooms. This is what I call a silver bullet: powerful assessment, quality teachers, and support for them to continue to learn as professionals. And there’s proof that it works. A federally-funded study by Gina Biancarosa and Anthony S. Bryk in Literacy Collaborative schools was the first to document the positive relationship between the amount of coaching and teacher change, and teacher change and student achievement. The 17 schools in the study had a highly trained Literacy Collaborative coach; a commitment to 60 hours of PD in the 1st two years and at least 10 hours every year after that; and the books and materials to support implementation of a responsive literacy framework. By the 3rd year of implementation, students were learning, on average, 32% more each year than they learned during the baseline year. It’s not easy. It’s not quick. It’s not cheap. But it works.